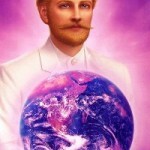 I Am Saint Germain and I bring you a message today that is filled with love and promise. It is time dear heart, it is time to become prosperous and abundant as you step forth to begin your work, your mission that you so intricately planned out before returning to your beloved Mother Earth. Yes it is time, it is time for a changing of the guard you might say, it is time for the old guard to hand over the reins to those who rightfully deserve them, and that is you precious Gaians, as you like to be called and as you will be known once you become a Galactic Society. For yes, you are Mother Earth and Mother Earth is you. You have all her elements so delicately woven through your being to create the human form you currently inhabit. Yes you are eager to get to work and anxious to end the old way, the old way of being and doing, but dear one, if you would stop and pause for a minute and reflect on where you have been, you would see that you have already done that, yes there are a few things you still hold on to, but the old way of “thinking” through things has been let go and now you are “feeling” your way through these uncharted waters. Yes dear ones, it has been a bumpy ride and the seas are still to grow as you move through the storm but know that a beautiful tropical paradise lies just on the other side of these stormy waters, for that is what you are, you are navigators, way showers of the ship, this ship being your human form and the seas being your reality. 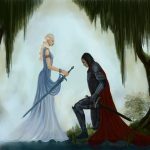 You are very well equipped to handle whatever comes at you and that is why beloved, you are the ground team, you are the captains of your ships, and yes, as you know a lot of you ARE captains of your own ships, and these ships get closer and closer to the planet each day and each moment for it is that time, the time where all is revealed and the sleep is wiped from the eyes of those that are still unaware. So be prepared as you have been told, but I mean that now when I say be prepared because it is about to happen, it’s “about to go down” as you say. Enjoy it because it is the storm that will bring everything you have been fighting so hard for into perspective and into full view for all of those to see, those that have been ignorant to the truth. No, this will not be an easy task for those who are unaware, that is why you, the front runners, the marathon stars, that is what you have been preparing for and it is now time to witness the spectacle that is to alter this planet and herald in a new Golden Age. 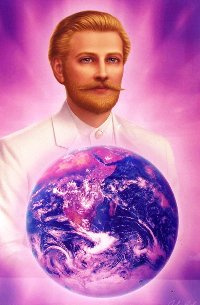 I Am Saint Germain and I say be ready, be prepared and most of all be in love! You are there children of Earth, you are there.